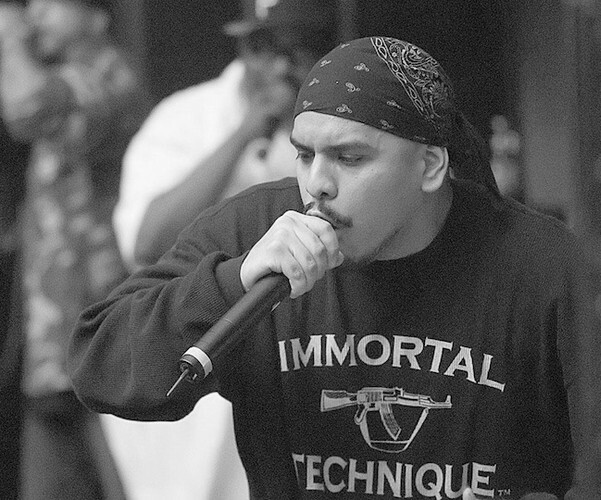 Felipe Andres Coronel (born February 19, 1978), better known by the stage name Immortal Technique, is an American rapper of Afro-Peruvian descent as well as an urban activist. He was born in Lima, Peru and raised in Harlem, New York. Most of his lyrics focus on controversial issues in global politics. The views expressed in his lyrics are largely commentary on issues such as class struggle, poverty, religion, government and institutional racism. Immortal Technique has voiced a desire to retain control over his production, and has stated in his music that record companies, not artists themselves, profit the most from mass production and marketing of music. He claimed in an interview to have sold close to 200,000 copies of his three official releases.